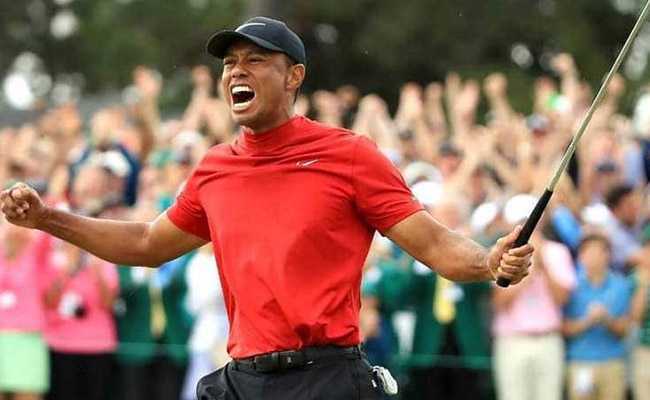 Golf legend Tiger Woods made a sensational comeback on Sunday as he won his 15th major title, ending an 11-year drought. Woods fired a final-round two-under par 70 to finish on 13-under 275 for a one-shot victory that sealed his fifth Masters title, his first since 2005. “Congratulations to @TigerWoods., a truly Great Champion!” Donald Trump tweeted after Woods secured the Masters title. “Love people who are great under pressure. What a fantastic life comeback for a really great guy!” he added. Former US President Barack Obama also congratulated the 43-year-old superstar on his historic victory. “Congratulations, Tiger! To come back and win the Masters after all the highs and lows is a testament to excellence, grit, and determination,” he wrote. Tennis star Serena Williams also congratulated Tiger Woods and thanked him for inspiring her. ” I am literally in tears watching @TigerWoods this is Greatness like no other. Knowing all you have been through physically to come back and do what you just did today? Wow Congrats a million times! I am so inspired thank you buddy,” an emotional Williams tweeted. Nike, one of the few brands to stand by Tiger Woods when he was hit by a scandal, tweeted an emotional video testimony. Jack Nicklaus, the legendary golfer who holds the record for most number of major title wins, congratulated him too. “A big “well done” from me to @TigerWoods! I am so happy for him and for the game of golf. This is just fantastic!!!”. Basketball stars Kobe Bryant and Stephen Curry were also among those congratulating Tiger Woods. Tiger Woods’ last major title was the 2008 US Open. He has been hit by scandal and injuries that threatened his career since then, with many writing him off. In 2017, he underwent spinal fusion, which could have caused him chronic back pain. “I can’t thank my family, friends and fans enough for their support. Having my family by my side today is something I will never forget. To not only be able to play again, but to be able to win again, is something I will forever be grateful for,” Tiger Woods tweeted after his win, with a picture of him holding up the Masters trophy. “This jacket sure is comfortable,” he added cheekily, alluding to the green jacket that signifies a Masters win.